DULLES, Va., April 18 /PRNewswire/ -- Orbital Sciences Corporation's (NYSE: ORB) participation in critical aerospace research programs was recognized today as the National Aeronautics and Space Administration's (NASA's) hypersonic scramjet test vehicle, the X-43A "Hyper-X," was introduced to the media at Dryden Flight Research Center in Edwards, California. 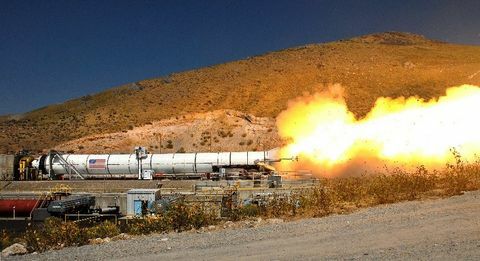 Orbital's Launch Systems Group (LSG) is building three Pegasus-derivative rockets for the Hyper-X program, a five-year, $200 million effort to demonstrate future hypersonic propulsion and airframe technologies. Each modified Pegasus rocket will accelerate a small, unmanned Hyper-X research vehicle (the X-43A) to a predetermined altitude and Mach number, where it will separate itself to conduct its mission. The Hyper-X research vehicles were developed by Micro Craft Inc. of Tullahoma, Tennessee and the program is administered jointly by NASA's Dryden and Langley Research Centers. NASA is using the Hyper-X vehicles to test propulsion technologies that could be applied to future reusable space launchers and hypersonic aircraft. 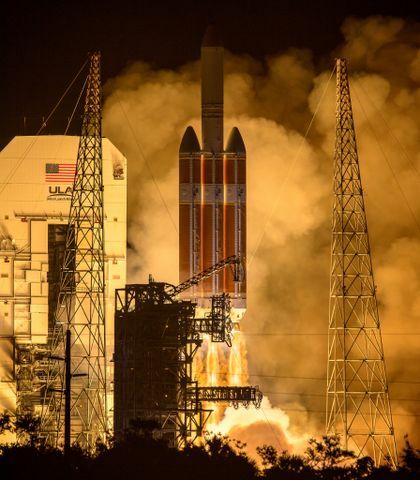 While vehicles with conventional rocket engines carry oxygen on board, the air-breathing Hyper-X vehicles ingest and compress oxygen from the atmosphere using the vehicle airframe. This type of propulsion system could potentially increase payload capacity on future vehicles since no onboard supply of oxidizer would be required. At today's event, the Hyper-X government/industry team applauded recent program successes, including mating of the Hyper-X research vehicle and Pegasus-based booster in January, completion of the flight readiness review in February, and a successful combined systems and taxi test in March. Other significant project milestones are rapidly approaching with a captive carry flight scheduled for late April and the first flight test planned for May. Two additional flight tests will occur in 2001 and 2002. In comments to the audience of media, government and industry representatives, Mr. Phillip Joyce, Orbital's Hyper-X Program Manager, said, "Orbital is proud to be a key part of this NASA/industry team that is pushing the envelope of atmospheric flight. The Hyper-X Launch Vehicle represents an application of Pegasus technology envisioned by NASA and Orbital since the development of Pegasus in the late 1980's. In addition to space launch, Pegasus is ideally suited to hypersonic research and development, and this feature has been recognized by NASA." The Hyper-X Launch Vehicle builds on technology and operational methods developed on Pegasus, as well as on methods for developing unique, one-of-a- kind launch vehicles in LSG's past suborbital rocket programs. Since 1990, the three-stage Pegasus rocket has conducted 30 launches and placed over 70 satellites into orbit from six separate sites worldwide. For the Hyper-X Launch Vehicle, the Pegasus rocket's second and third stages have been eliminated, as has the fairing, which is normally used to protect satellite payloads. The Hyper-X research vehicle and its adapter will ride atop the front of a specially configured Pegasus first stage solid rocket motor. A newly developed thermal protection system will protect the Pegasus composite structures against severe heating loads associated with lower-altitude hypersonic operations. Other modifications to Pegasus include upgraded first stage guidance and an avionics repackaging that permits ballasting of the booster for flight conditions between Mach 7 and 10. The Hyper-X missions will originate from Edwards AFB and will fly off the coast of California. The Hyper-X launch vehicle and scramjet research vehicle "stack" will be air-launched from NASA's B-52B carrier aircraft, the same one used on the original Pegasus missions in the early 1990's, as well as on the X-15 and numerous other experimental aircraft programs in the past. The booster will accelerate the stack to a predetermined altitude and Mach number, after which the X-43A will separate from the booster and fly under its own power at seven times the speed of sound. Currently, the world's fastest air- breathing aircraft, the SR-71 Blackbird, cruises slightly above Mach 3, or approximately 2,100 miles per hour. Hyper-X is planned to fly faster than any air-breathing vehicle before, opening the frontier for aircraft with speeds measured in miles per second. Orbital is one of the world's leading manufacturers of low-cost space systems, including satellites, launch vehicles, space sensors and satellite ground systems. 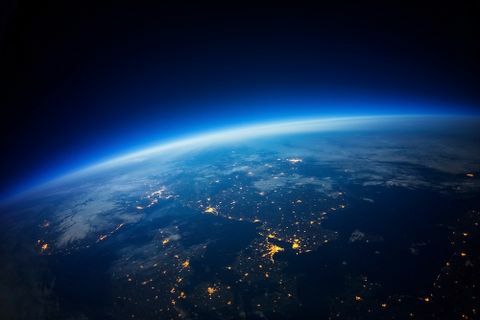 Orbital is also involved with satellite-based networks that provide wireless data communications and high-resolution Earth imagery services to customers around the world. More information about Orbital can be found at http://www.orbital.com .